I am Richard Preston, author of “The Hot Zone” and expert in the Ebola virus. AMA! – Reddit. "The book The Hot Zone is a chilling story of America’s last Ebola outbreak. That one didn’t get any people, just monkeys. But it’s still a great cautionary tale, and required reading for medical students. This week, America’s first confirmed case of Ebola hit Texas, so I thought I’d send along a Reddit AMA (Ask Me Anything) by Richard Preston done a month ago. His answers are as interesting as the questions (‘can it be transmitted by mosquitos?’) Here’s hoping the CDC is reading too." (Alistair for Hugh). Exodus – Aeon. "My wife sent me this. She has been a Google fan for a decade, but she’s finally switched her allegiance to Elon Musk with this article. It’s a good read, and a sound argument that multi planetary life must be our priority. As author Ross Andersen says, ‘he is always giving you new reasons to doubt him.’ Here’s hoping our doubts are unfounded." (Alistair for Mitch). Beautiful LEGO 2: Dark, A New Book About The Dark Side of LEGO by Mike Doyle – Colossal. "I don’t think this link needs any more explanation, does it?" (Hugh for Alistair). Podcasts are back — and making money – The Washington Post. "Mitch and I got to know each other in large part because of podcasting… Mitch drove me back from Kingston to Montreal, after we had both attended the Podcasts Across Borders conference (back in 2006? 2007?). We ranted for three straight hours about all of the things that we wanted the Internet to do, and a deep friendship was born. Anyway, Mitch and I both had stake in the earlyish days of podcasting: Mitch had been doing his Six Pixels podcast for a while; and LibriVox was just growing into the public domain audiobook mid-sized-ish podcasting juggernaut. Eight long years later, and podcasting is getting cool and interesting once again (largely due to the amazing stuff NPR and its offshoots has been producing). And I agree with former This American Life producer, Alex Blumberg, featured in this article about this resurgence: we need more great podcasts. Long live great stuff for our ears! Though I’ll bet you the making money part is still bloody hard!" (Hugh for Mitch). Why a leading professor of new media just banned technology use in class – The Washington Post. "I love Clay Shirky. Everything about him. How he thinks. How he writes. How he speaks. I even like his hair style 😉 This is a fascinating turn of events, and it’s coming from someone who knows a thing or two about technology. As someone who teaches technology, journalism and Internet culture at the college level, he has decided to ban technology in his class. It turns out that these bright, shiny and vibrating objects are always more of a distraction than we may admit. What’s most interesting about this? 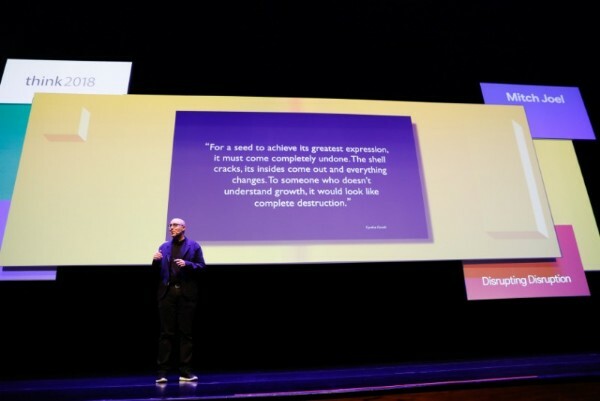 Shirky is both admitting it… and doing something about it." (Mitch for Alistair). Amazon’s crowdsourced publishing platform will launch soon for mystery, romance and sci-fi authors – Gigaom. "If Amazon loves anything, it’s disruption. Disruption of retail. Disruption of publishing and more. They’re getting a lot of heat lately from many authors as the battle between them and Hachette Book Group wages on (full disclosure: both of my business books, Six Pixels of Separation and CTRL ALT Delete are published by Hachette). This article describes Amazon’s latest publishing venture as ‘somewhere between Amazon Publishing’s ‘traditional’ imprints and self-publishing platform KDP: Authors whose books are selected get a $1,500 advance and 50 percent royalties on net ebook revenue. The contracts are for ebook and audio rights, with authors retaining print rights; initial contract terms are 5 years.’ The question is, obviously, timing. Is Amazon doing this to make authors appreciate them again or is this the future of publishing as Amazon sees it? If you think about it, the answer could be both." (Mitch for Hugh).